Laurie noticed right away that Mandie’s personality was special. It was her sweet, calm, and affectionate nature that gave Laurie the idea that Mandie would be a good therapy dog. At just over a year old, Laurie signed Mandie up for training classes. On her first try, Mandie passed the exam with Pet Partners, an organization that certifies and registers therapy animals. Mandie began her therapy work in libraries, listening to children read, and visiting patients in assisted living facilities. In March of 2016, she was accepted to an assisted therapy dog program at a local hospital in Flagstaff, Arizona. Over the next several months, Mandie worked with occupational and physical therapists, helping patients in the intensive care unit. 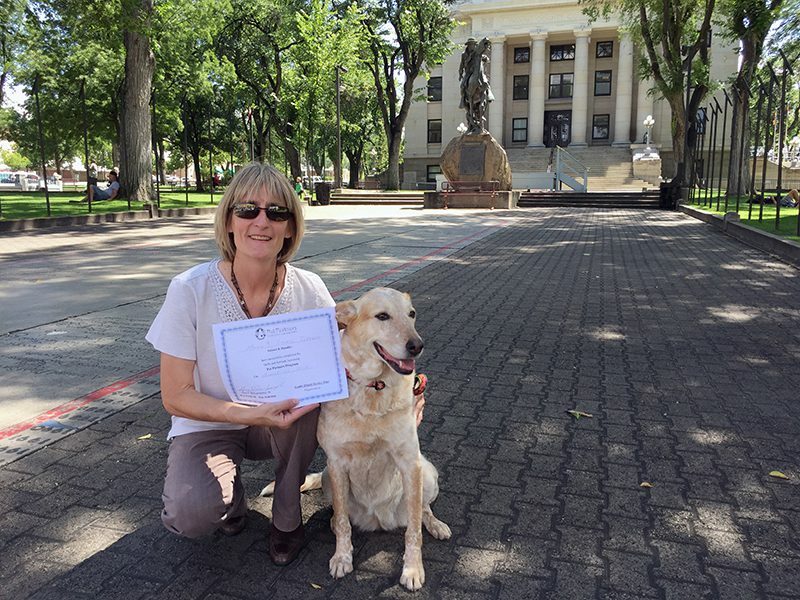 Laurie and Mandie after passing the Pet Partners Therapy Team Test in Prescott, AZ. In April 2016, Laurie and Dale noticed that Mandie, then six years old, was licking her right front leg. They didn’t think much of it until early July, when Mandie was on one of her trips to the hospital and began limping. 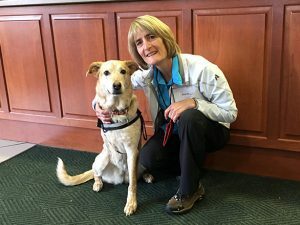 Laurie took Mandie to their veterinarian, who thought it might be a bad sprain from a hiking trip. After a week of continued limping, an x-ray was taken. The x-ray revealed a tumor, and a subsequent biopsy confirmed the tumor was cancerous. Mandie had a soft tissue sarcoma (fibrosarcoma) in her right upper leg. Surgery is usually the preferred primary treatment for fibrosarcoma, often requiring an aggressive approach to remove the tumor and obtain “clean margins,”— a term that describes complete removal of the tumor. In some cases, the only way to completely remove a tumor surgically is through amputation of the affected limb. Mandie waiting for her first radiation treatment. AVO’s waiting room has great reading material! In Mandie’s case, surgery to amputate was recommended. 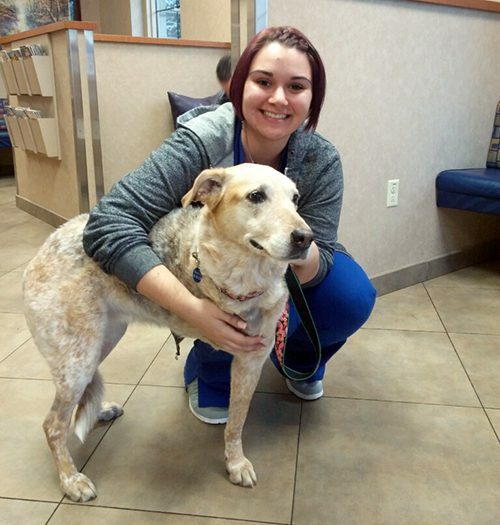 Laurie and Mandie were referred to Arizona Veterinary Oncology for treatment. During surgery, they found that her tumor extended much farther up than expected, toward her shoulders. They were able to amputate but were not able to achieve clean margins. A treatment plan consisting of 19 sessions of conventionally fractionated radiation therapy (CFRT) over a period of five weeks was recommended. After much deliberation, Laurie decided to move forward with radiation therapy for Mandie. “I thought, if we [Laurie and Dale] can fight this, I know she’ll be a fighter. When they were pulling out the staples after surgery, she was just laying down. It’s like she was thinking, ‘Even though it hurts, these people are trying to help me.’ She’s such a sweet girl, fairly young, and her cancer was still pretty contained. She’s such a good dog, I wanted to give her chance,” Laurie said. True to how she approaches life, Mandie is fighting her cancer with sweetness, patience, and love for those around her. 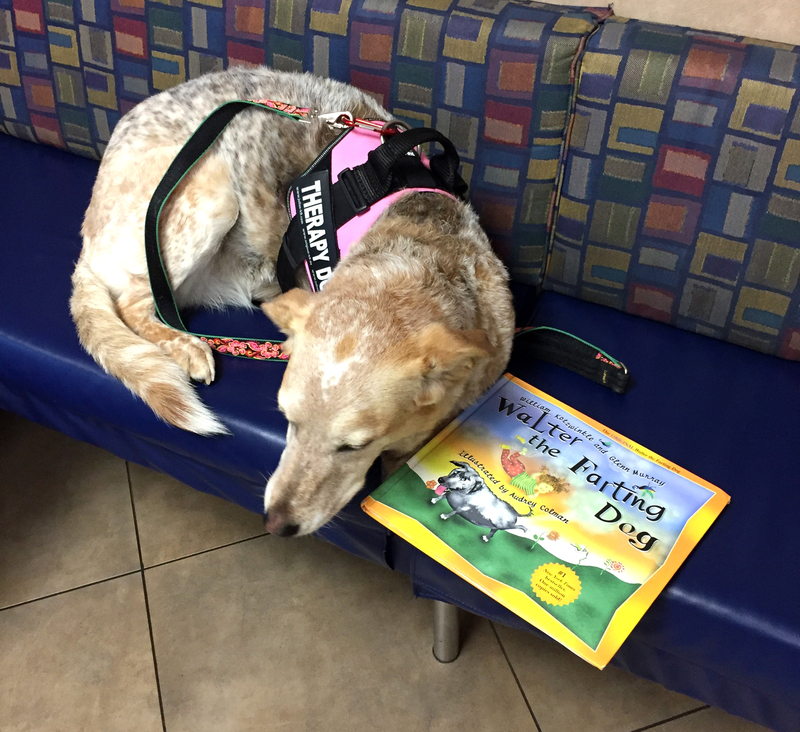 Mandie began her radiation treatments in January 2017, and the staff at PetCure Oncology at Arizona Veterinary (AVO) fell in love with her. During her radiation appointments, Mandie would walk down the hallway and stop by each door to greet the team members. Even as she was getting used to being three-legged, she would jump onto the treatment table by herself and roll over for her anesthesia. The team at AVO loves Mandie. Not only does the AVO staff love Mandie, Laurie and Dale have been overwhelmed by the support from their local community. Families of the patients at the hospital where Mandie worked donated around $2,000 toward her veterinary costs. Students at a Flagstaff elementary school wanted to help Mandie as well. Kids paid $1 to wear their hats at school and collected $207. And because Laurie was unable to stay with Mandie throughout her treatment sessions, due to work, local families around AVO fostered Mandie during her treatment—taking her to AVO for treatment and making her comfortable in their homes. As of March 23, 2017, Laurie reported that Mandie is improving and doing great. She has more energy and is active. She’s begun rehab appointments to help her walk more comfortably. 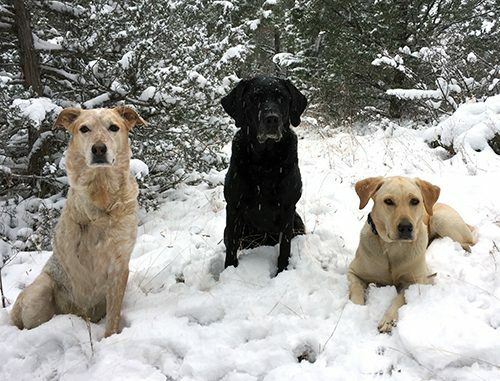 Her sisters—Brooklyn, a 12-year-old black lab, and Isty, a 2-year-old yellow lab—are all excited that Mandie is back home. Isty, who has a special bond with Mandie, has been stuck to her side, giving Mandie support and keeping her company. And she’s already inspiring others. Laurie shared that while walking Mandie around downtown Flagstaff, they met a young veteran who was visiting the area. He had a missing leg and spotted Mandie. He asked to meet her and the two took a lovely photo together. Mandie is a truly special dog that inspires us with her quiet courage and love. We wish Mandie, Laurie, and Dale all the best! Has Your Pet Been Diagnosed with Cancer? We Can Help. We understand a cancer diagnosis can be scary. We are ready to assist you with finding the right treatment plan for your pet. Contact a PetCure Oncology location near you.